The things which come in our houses as a monthly stock apart from the grocery and other kitchen things are the beverages at any moment can call for to raise the toast of cold beverage glasses to celebrate. Moreover, the beverages make a boring dinner totally a fun and tastier so they are like the must-haves of a house kitchen. So you need a proper storage space to store them so that they enjoy a safe and stable spot in the house and are convenient to approach any time. 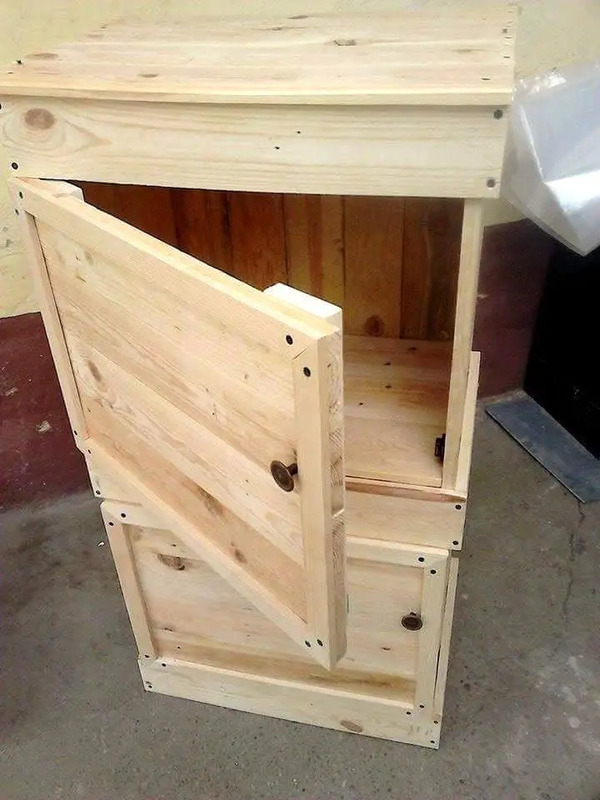 This DIY pallet beverage storage cabinet is exactly an awesome housing for your beverage bottles and glasses in the upper and lower cabinets respectively. With its sleek and slim design, you can make its gorgeous display even in the compact kitchens, living rooms and can be accompanied to the outdoor when enjoying the company of friends in the garden or patio. So if you are also a beverage addict then this beverage storage rack should be next on your to-do list. 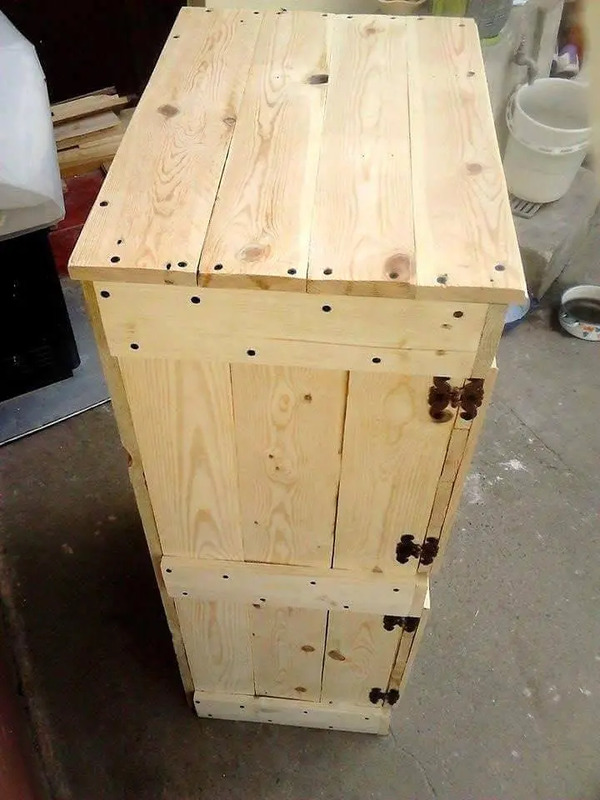 This pallet made beverage or wine cabinet unit would prove to be a very functional and a bit decorative addition to any householding and hiding all your drink bottles and glasses in its two-tiered cabinets with safety. The slim and sleek in the design of the beverage cabinet is really very simply made from the pallets which have been cut into the pallet slat pieces first and these pieces have been nailed together to form the cabinet by following the structure pattern. 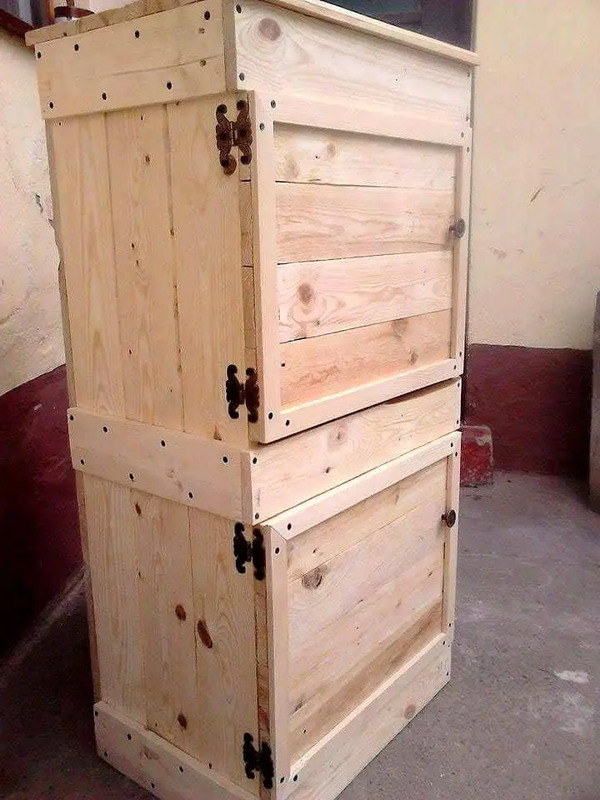 The doors have also been built by packing the slat pieces together and metal hinges have been used to insert the doors with the cabinet unit and the door also have metal knobs and to sturdy grip and tough lock.